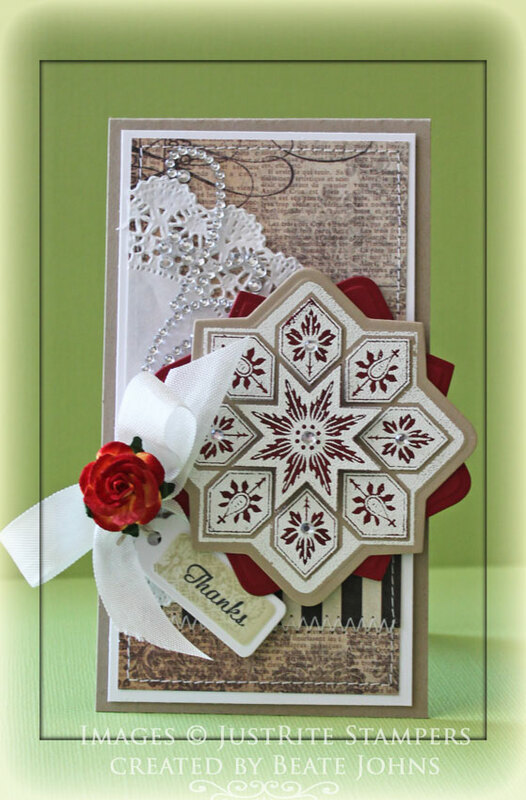 I have another video post to share with you on the Spellbinders Paper Arts blog. The coming week is all about Nestabilities®. Nestabilities started my love for Spellbinders products. Once the original shapes came out I was hooked. In the video I talk a bit about some of my favorite techniques you can do with Spellbinders dies and show how to create this telescoping image. I hope you have time to stop by, check it out and tell me what you think. I would love to hear from you! Have a wonderful weekend! Here is another sample I made with the new JustRite Stampers CHA release stamp sets. This time I used the beautiful Stardust Medallion stamp set. I stamped the medallion image two times; once on a piece of MME Lost & Found Union Square patterned paper, once on a piece of Kraft cardstock with Embossing Ink. The images were embossed with white embossing powder. The patterned paper pieces were cut apart, the Kraft piece cut and embossed with the new Nested Medallion Label die. The patterned paper pieces were adhered to the Kraft layer and topped with pieces of Baby Bling Rhinestones. A 2″ x 2 1/2″ piece of Union Square was adhered to a 2 1/2″ x 5″ piece of the same paper pack. The layers were stitched to a 1/4″ bigger piece of white cardstock. Half a paper doily was adhered to the left side of the layers and Seam binding was tied around the horizontal strip. 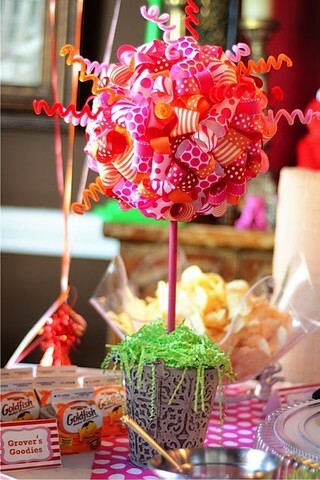 The bow was topped with a Paper Trellis Rose and part of a Finesse Rhinestone Swirl was adhered over the paper doily. A sentiment from the set was stamped on a piece of white cardstock that had been cut and embossed with a retired tag die. The embossed part was sponged with Old Paper Distress ink and the medallion was stamped over it in the same color. The tag was tied to the bow and the layers were adhered to the card base, a 3″ x 11″ piece of Kraft cardstock, folded in half. Today Timeless Tuesday hostess is Tammy. She challenged us to be inspired by this photo. 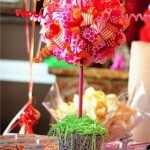 For my card I knew I wanted to use Pink and Orange as the main colors with a bit of grey from the planter. I started by stamping the heart from the soon to be released From the Heart stamp set in Embossing Ink on a piece of Echo Park Victoria Garden Patterned Paper. The heart was cut and embossed with a Classic Heart Nestabilities die and adhered to a piece of Neenah Solar White cardstock, cut and embossed with a Classic Scalloped Heart die. Next I stamped the scroll image in Tuxedo Black Memento Ink on Solar White cardstock. A sentiment was stamped inside the scroll before it was colored with Copic Markers (YR00, YR01, YR02, YR04) and cut out. The scroll was adhered to the center of the heart with dimensionals. The card base is a piece of 4 1/2″ x 9 1/2″ white cardstock folded in half. The card front was embossed with the Brocade Embossing Folder and the bottom corners were rounded. The edges of a 1 3/4″ x 4 3/4″ strip of Victoria Gardens Paper were stitched before the paper was adhered to the left hand side of the card front. White organdy Ribbon was tied around the front and parts of a Finesse Rhinestone Swirl were adhered to the upper right and lower left of the card base. The heart was adhered over the ribbon and a button was tied on over the bow with dimensionals. Check back with the Flourishes Designer tomorrow for more sneak peeks of this set. Thanks so much for stopping by! Have a wonderful day! 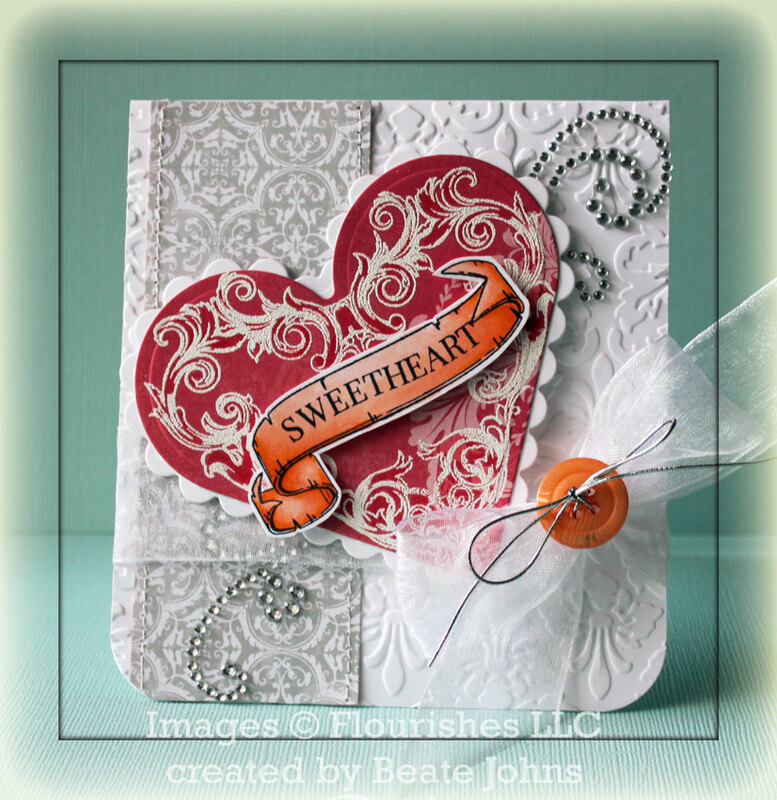 Today I get to share a sample with one of the CHA release stamps from JustRite Stampers with you. The set is called Warm and Cozy and it includes two beautiful medallions. I stamped the bigger image twice in Tuxedo Black Memento Ink on Neenah Solar White cardstock. One was cut and embossed with one of the new Nested Medallion Dies, the other with a Standard Circle Nestabilities dies. They images were colored with Copic Markers (YG00, YG01, YG03, BG11, BG13, BG15). The circle layer was adhered over the Medallion with dimensionals. Baby Bling Rhinestones were added to both layers before they were adhered to a piece of Solar White cardstock cut with Cheery Lynn’s French Pastry Doily die. A 3 15/16″ square of First Edition Patterned Paper was embossed with the Brocade Embossing folder and stitched to a 4 1/8″ square of black cardstock. Turquoise Organdy Ribbon was tied around the layer and the medallion layers were adhered above it. Everything was adhered to the card base; Solar White cardstock, cut and embossed with the smallest of the Grand Scallop Square Nestabilities dies. A sentiment from Warm and Cozy was stamped in Tuxedo Black ink on a piece of Solar White cardstock, cut and embossed with the smallest of the Petite Oval Nestabilities die. The embossed part of the layer was colored with Copic Markers YG00 and YG01. Part of a Finesse Rhinestone Swirl was adhered to the upper right corner of the card to finish it off. Be sure to visit the rest of the DT blogs to see their beautiful work with this set!